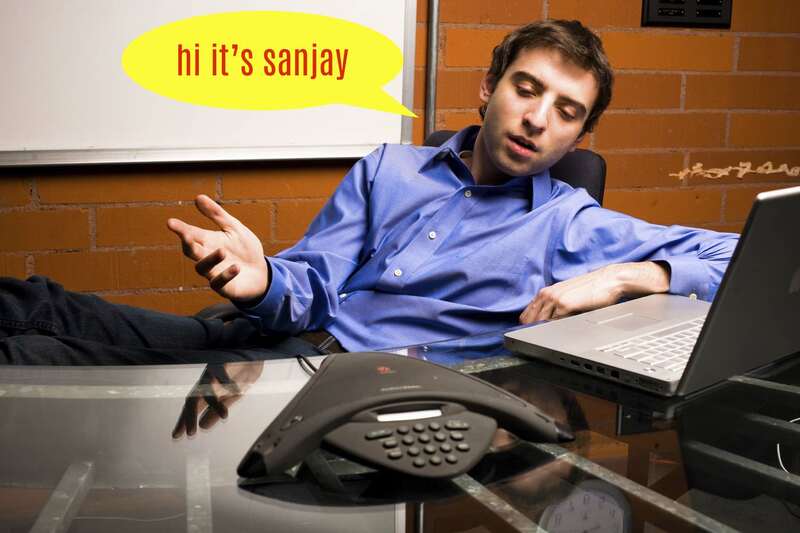 #ITGuy: How to Get the Onshore Role | SanjayComedy...one word. For the last 25+ years an influx of software and business professionals make the migration from offshore to onshore. And by going onshore I mean the basic practice of having your company give you a posting in places generally like the US, Canada, Australia and of course Europe. For a young professional in IT or another service related firm this is often considered the holy grail. It has its charm…the obvious financial gains, the thrill of traveling and work experience, and of course the social aspects of dating, Las Vegas and generally bragging to your friends about awesome your life is. And so naturally as someone who has worked for years both offshore and onshore, I’d like to give you a few pointers on how to make it happen. Yes I know he was a fraud. And that he was looking for Indians. 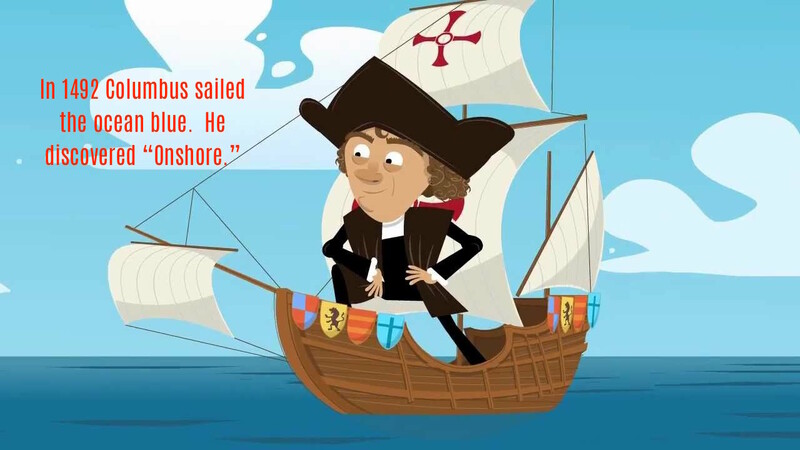 Well 500 years later they did arrive…. Side note: This article is not about leaving India or any national agenda. I know they’re some sensitivities around the brain drain train, a term I just coined in my head about people going and never coming back. (I added the word train so it’s mine). But honestly, I’ve worked, lived in and loved both places. This is just a general guide on my own experiences. You obviously need to ask yourself what you truly want and what your long-term goals are, but since a majority of you are young, single and just want to have some fun while keeping the job going, let’s do this. 1. Learn a skill you like and that is used by clients. It’s kind of strange that although so many jobs have been outsourced with advances in communication and collaboration, an increasing number of engineers continue to go onshore. The simple reality of that is two things at play: Skills and Proximity. What you decide to learn and focus on during your career will be one of the biggest determinants of getting you on site. It need not be the current hot skills of big data or analytics or whatever buzzword is trending on nerd Twitter aka Stack Overflow. Plenty of Java and SQL server admins still get there H1s each year, but so many young techies try Python or Hadoop or some tools they have no clue about just because they think folks might be hiring overseas. But in reality, if you’re in an area you truly enjoy, you will likely get good at it. And if you’re good at it, you’ll be the one turning down projects because you’re a stud and have a buffet of options at your disposal. Alabama? No thanks, that’s like the veg cutlet. I’ll just head over to these Prawns in San Francisco. The only caveat, however, is that it should be client/customer oriented. For those of you in internal tech support (e.g reset my password when I logged in too much cause I was watching Game of Thrones and not paying attention) I’m sorry to tell you it’s a lot harder to make a case here. The majority of onshore roles go to folks who are supporting customers/clients and not internal IT related functions. I’m sure it’s still possible, but if you find yourself in that situation start making changes to get you on the product side. I have friends who go onshore and then work from home. You being there is part organizational behavior (e.g the company has so many slots to send every year) but also a matter of convenience and necessity. Clients don’t want to wait 12 hours for an answer on a minor bug fix. They also want personal time to discuss designs and development. And after having grown dependent on you as their right hand man during late night/early morning calls, they recognize it would be easier to just have you in town. As you increase your skills and value to your onshore counterparts while working offshore, the case for proximity becomes that much stronger and makes a good push to get you onboard. Getting good at Java? Cool…now try doing C#. If you’re doing great on data warehousing projects using Informatica, play around with the other tools out there. When I used to interview candidates in IT, a lot of people would say things like “Sir I just want to do Oracle” or really only try to master one field. They’re different schools of thought here, but in business reality you might have six years of experience in Oracle, two years in SQL Server and then find out the SQL Server role is the one that ended up changing your career. Don’t become a jack of all trades and master of none, but generally once you know one tool/software it becomes easier to learn another, it’s sometimes just a matter of process and where to point and click. Vendors and internal decision-making also change which tools you may use at any given point, so this is an added benefit. When you start work in India, you will likely have a team lead who will be speaking to your own team members and clients onshore. You will likely spend the first few months listening quietly while your team lead handles all the communication. A good team leader will slowly integrate you by having you tell the client a pre rehearsed update on something simple. Slowly you will get more and more responsibility and eventually that team lead will sit back and shadow you while you handle the call. Eventually the client and you will have a usual rapport, you can understand the type of person and moods they have and you both will be colleagues. Naturally when the roles and opportunities open up for who to bring over, those with a steady relationship and a proven track record would be sure shot approvals as the risk is minimal. They don’t feel you’ll quit, they’ll know you can do the work well and most importantly you’re a pleasure to be around. Your only contribution in year one of offshore calls. Often times the guy or gal who gets to go onshore isn’t the smartest or most technical. But that need not always be the case. Your company and management want to make sure that you’re going to assimilate well with the people paying them. You not only deliver your work but you can carry a conversation at lunch, can help others who are making the journey, and can handle critical situations (e.g when some angry client lady in New Jersey is right in your cubicle asking you why the ticket is not resolved that you know how to compose yourself and handle it appropriately). Human beings are generally social beings and being the engineer who sits in the corner with minimal interaction in some IT dungeon is not the best way to live, so put a smile on your face and at least make an attempt to get to know those around you! Applying for an H1 visa takes about a year. You also need a few years at your company to prove that you’re committed, loyal and oh yeah, do the work well. Nobody is going to spend thousands of dollars brining over a 22 year old on all expenses paid business vacation, so don’t expect it. I’m sure it’s not impossible but for the majority of us…get to know yourself, build your skills, make friends and just enjoy your time in the early years of making a career. I would say the majority of onshore travelers are between 25 and 35. The younger ones aren’t ready yet and the older ones are probably too settled or content in their current roles/personal lives to be interested. Once you accept these timelines, it makes it easier to enjoy each day and improve your own work in the process, which will obviously only make you onshore case that much stronger. It will also help in passing the time, since you know, you’re not just waiting for the next thing and feeling miserable in the current one. 5. Talk to People who Have Just Returned. Get a Mentor. IF YOU GO OVERSEAS BRING CHOCOLATES. What does someone actually do onshore? How is it different then the work you’re doing in Bangalore, Chennai, Hyd or Delhi? What is expected of you different from the coding you’re already doing? How much are the expenses? Are you ready for another 2-3 year commitment in your current company? If you haven’t asked yourself these questions, you shouldn’t be blindly looking for an onshore role. And yes, I shamelessly just plugged my video above. Also, most people in any career don’t do the simple task of asking someone “Hey, can you be my mentor.” It does sound like a marriage proposal, I know. But to be honest, if you actually ask someone they’ll most likely be flattered and have no issues speaking to you for 10 minutes every three months on how things are going. Don’t go ask the CEO when you see him in the elevator, but it doesn’t hurt to ask someone a level or two above you to guide you over a coffee from time to time. Onshore or not, this matters. And if they say no, just think of it as practice for the next girl you want to ask out. This is the last point I’m making for a reason (unless you comment a few more additional points you’d like me to discuss). The number one turnoff for an interviewer, when interviewing someone for a job or a project is when candidates ask for onsite roles in the first few months on the job. It shows an indifference to the actual work of learning the technologies and getting good at your profession, and more on the perks and benefits. But obviously you should let it be known so the whole “Be Patient” thing pays off. A good manager will recognize your hard work and want to reward you down the road, while also juggling how to ask his or her managers to get the ball rolling on your deployment. So let it be known, but don’t push it. A good rule of thumb is to bring it up after 18 months, and then remind your manager or leads every 4-5 months and as common sense dictates (e.g. Don’t bring it up in the middle of a crisis but maybe just over a coffee when things are smooth). Human beings generally want to rewards those have helped them out and a good team leader/manager will recognize getting you onshore is a better alternative to losing you completely. I know plenty of amazing people who work offshore, and plenty of less than stellar folks who work onshore. And of course vice versa. But one of the most exciting parts of your early career is the travel and experiences which come with it. So I hope the above tips were helpful, and happy hunting. I like this article.it helps me to understand onshore fiasco more. I have completed 1 yr in my job and trying to find the perfect time to pitch that i am interested for onshore assignment.But till now i am not finding it. Thank you 🙂 I hope you can be patient but it will happen eventually!